Below is a list of all current R.E. Piland associates, both online and those with physical locations. If you would like to become an associate, please email or call us to get more information and wholesale pricing. Chis isn't a wholesale account, but she specializes in R. E. Piland estate jewelry. She may have that retired piece you've always wanted. Rebel King - A series based on the Chronicles of Robert the Bruce, King of Scots. The series is based closely on historical facts concentrating on the characters who jeopardized life and limb to drive those facts into reality. Crafty Celts - A fine selection of historically inspired jewelry, hand crafted from brass, copper, bronze, and sterling silver. Celtic Art, Ltd. -- Patrick Gallagher, custom woodwork, jewelry, graphics and printmaking. 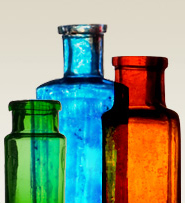 American Gem Trade Association - Add more color to your life. An association of United States and Canadian trade professionals dedicated to promoting the long term stability and integrity of the natural colored gemstone and cultured pearl industries. Gemological Institute of America - The difference between wondering and knowing. Education and laboratory certifications on diamonds and gemstones. Rob's a member of Clan Home. Please follow the link to learn more. 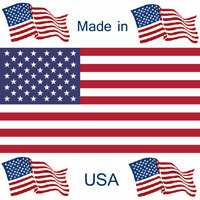 Quickly find & buy Made in America products, goods & services. American made Products Business Directory. Scroll to the bottom of their page to find listings by state.